Advanced IHTP Retreat in Costa Rica! IHTP Alumni! You are invited to a soul-filled, healing, tribe bonding, skill building and light hearted retreat in beautiful Costa Rica! Your tribe will expand with a powerful merging of IHTP Alumni who have been on similar paths of healing and transforming, and offer heart-centered healing work in a beautiful bonding tropical retreat. Whether you graduated from the IHTP recently or a while ago, this is a wonderful opportunity for you to practice healing work, receive healing work, and also enjoy yourself with a group of wonderful people. I have always wanted students from other classes to meet each other. You all are such beautiful souls, and what better way to expand your tribe, have deeper connections, and practice more of your healing work on others, than being on retreat together! This will touch the core of your being. You will also have the opportunity to practice the healing work with each other and improve your skills. Talks and tribe building with deep diving IHTP Alumni. Practice your healing skills with your peers or receive healings from them! Ocean activities – even surfing lessons, if you want! The retreat will take place in a beautiful house in Puerto Carrillo, just south of Playa Samara in the Guanacaste Region. It is walking distance to Playa Carrillo and a little longer walk to Playa Samara, which is in one of the 5 Blue Zones in the world. People in these Blue Zones live the longest and happiest lives. These “zones” are: Ikaria (Greece), Okinawa (Japan), Ogliastra (Sardinia), Loma Linda (California) and Nicoya Peninsula (Costa Rica). There is a healing energy already permeating through nature, the ocean, the food, the land and the local way of living, and you will FEEL IT! Costa Rica has a spiritual energy that unravels the ego and helps us find our way to our heart and truth. As you know, my husband is from there and I’d love to share this experience with you and show you life there from a local lens. The retreat will combine healing and also time for pure enjoyment. Daily, you will receive guided healings, deep connection to yourself, and support for self actualizing who you are at the core. A private, guided boat tour to see Marine life! Now, let’s talk about the food for a minute. Steven Arias is a magical gifted being with food. His meals are 5-star, mouth watering, beautiful, full of life, and nutritious. He will be our personal chef! I’m so excited about this! He is truly amazing and brings a whole new level of support to our systems through food. Playa Carrillo and Samara are beautiful bays perfect for beginner surfing, swimming, snorkeling, paddle boarding, and even fishing, if that floats your boat. This area maintains its local flair with Tico style cuisine and a mix of European restaurants. Unlike the more popular towns of Nosara and Tamarindo, Samara and Carillo’s main tourism comes from Italy, Germany and Switzerland, so it is usual to hear a variety of languages spoken in Samara! We can also arrange for you the best pedicure/manicure ever! We can transport you to the town of Samara to explore the wonderful cafes, restaurants, fruit and vegetable stands and pure coconut water on almost every corner. We have a beach front surf shop, where you can hang out on beach or have access to boards, should you want to try surfing or boogie boarding. Boat Tours to see marine life and snorkeling! My brother-in-law runs the boat tours, so we can make this happen! Casa Garrumo is a spacious and modern house with air conditioning, a large terrace with pool and gardens in the best location of Puerto Carrillo just 2 minutes walk to one of the 5 best beaches in Costa Rica. It features a gourmet kitchen and luxury finishes. It was designed by one of the most renowned architects of our country. Next to the pool is a teak deck for those who want to practice yoga or sit and read or sunbathe. 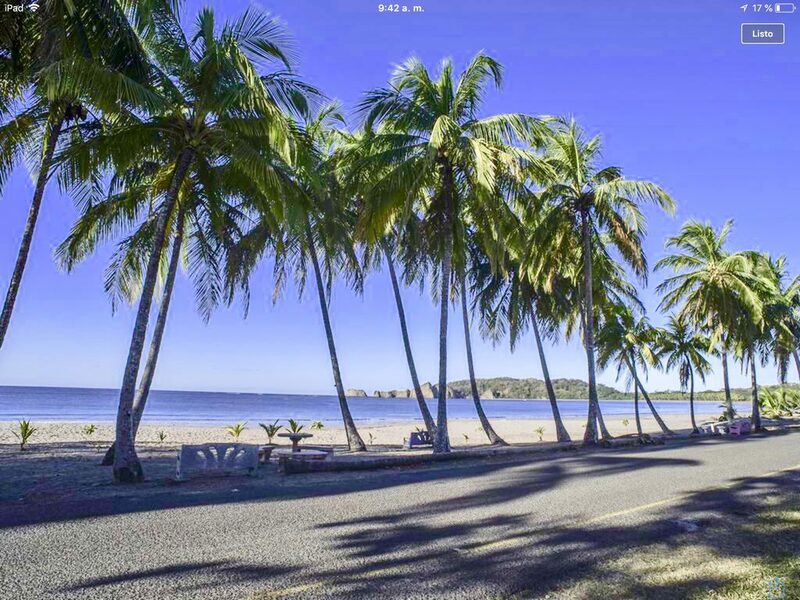 The location is strategic because it is in a safe and quiet area, close to restaurants and opposite the main avenue of Carrillo where you can walk to the beach just 400 meters. There is no single occupancy. If you do want to find your own accommodations and participate in the retreat, please email me. and soul, then click the button below to sign up! Reserve Your Double Occupancy Room Now! Reserve Your Triple Occupancy Room Here Now! Then book your flight into Liberia Airport (LIB) so that you are arriving before 2pm on Feb 23 and leaving on March 2 after 1pm local time. We will arrange a van to pick you up at LIR at 3pm local time on Feb 23rd and take you back to the airport on March 2 @ 11am local time. Cost for the van will range from $20-$40 per person each way. The price will depend on how many people take the van. Other options: Rent a car or take a taxi (about $100). There is also a local bus that goes from Liberia to Nicoya and then change busses in Nicoya to Samara. We can arrange a pick up in Samara. I am so excited to share this inspiring and uplifting retreat with you!